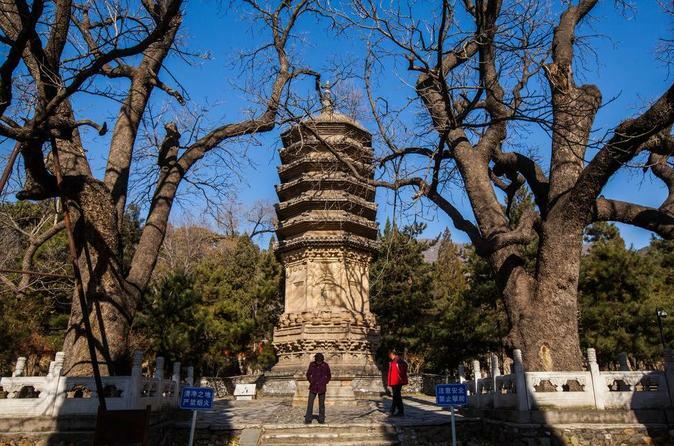 The Tanzhe Temple is one of the oldest Buddhist temples in Beijing, founded during the Jin Dynasty (265 - 420 AD) though most of the current structures are from the Ming and Qing Dynasties. The Tanzhe Temple is one of the oldest Buddhist temples in Beijing, founded during the Jin Dynasty (265 - 420 AD) though most of the current structures are from the Ming and Qing Dynasties. 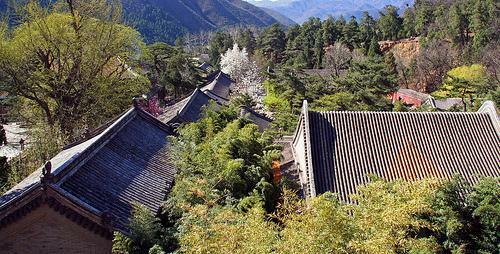 The dried bed of the Dragon Pool (Tan) lies on the hill behind the temple, while the mulberry (Zhe) trees are in the complex. Along the central north-south axis is the main Mahavira Hall, Deveraja Hall, Vairochana Pavilion, and bronze pot that was used for cooking. 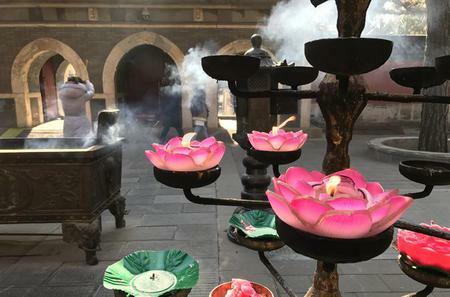 To the right of the main courtyard is the TaYuan with stupas in different styles from different eras housing the remains of eminent monks who practised Buddhism here. The best known pagoda is of Princess Miaoyan, Kublai Khan's daughter who turned Buddhist and lived here to atone for her father's sins.